How to join Herbalife online and become a Preferred Member or Distributor, and be able to earn 25%, 35%, and 50% Discounts immediately from a global multi-level marketing company selling nutrition supplements, weight management, sports nutrition, and personal-care products. Utilize the opportunity to Work from home, earn extra income, and build your own thriving business whilst promoting wellness, hale and hearty lifestyle. The Herbalife Member Pack (HMP) has been updated to reflect some of the most recent changes Herbalife has made to better define some of the key terminology, in addition to highlight the Herbalife commitment to providing the Gold Standard in consumer protection. 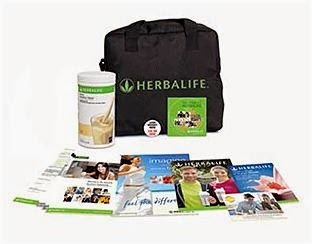 · This is for someone who only wants to buy Herbalife products at a discount rate for his personal consumption. · The discount is between 20 - 45% off all Herbalife products. · You will be able to buy Herbalife product online or directly from herbalife using your own herbalife Member ID number. · This is for someone who only wants to buy Herbalife products at a discount rate for his personal consumption and for sale to others at the full retail price, then keep the profit. It is also for all those who wants to build a career with herbalife as an Independent distributor of all herbalife products worldwide. · The discount is between 25 - 50% off all Herbalife products, and all other benefits as a distributor. Member Application & Agreement now replaces the Distributor Application. This change is to update the application to reflect Herbalife new terminology and to add the Gold Standard guarantees which we ask all new Members to acknowledge and return to Herbalife in order to activate their Membership. The Rules of Conduct (IBO book 3) has been updated. Herbalife has added a leaflet on the Gold Standard so all new Members can familiarise themselves with the Herbalife commitment to consumer protection. Herbalife also updated the name from International Business Pack (IBP), to Herbalife Member Pack (HMP). Please note: if you already have IBPs which you have previously ordered, you can still use these to sign up as a new Member. There is no change to the price or SKU for the Herbalife Member Pack. Herbpost for Herbalife Independent Distributor. Simple theme. Powered by Blogger.